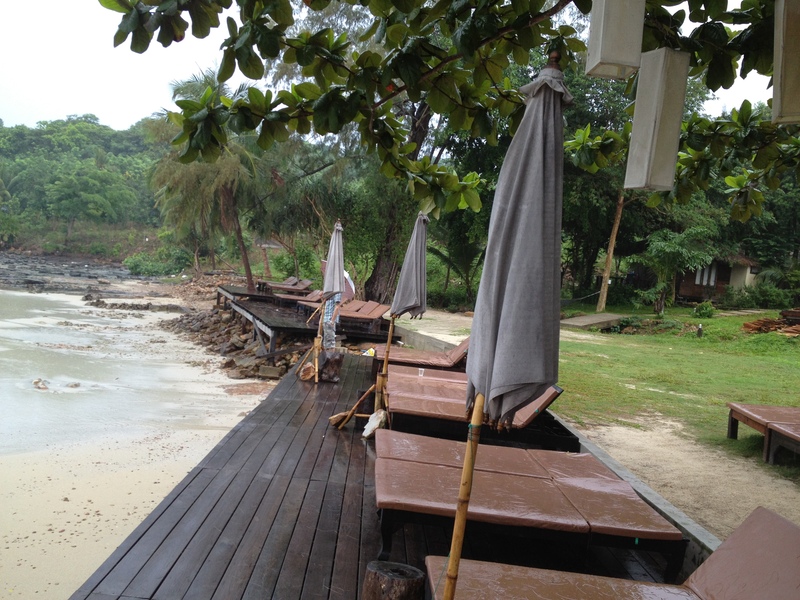 After deciding to return yet again to Thailand for our honeymoon, Darren and I looked for a less popular island to visit, and discovered Koh Kood (also known as Koh Kut), a small island in the Trat province of the Gulf of Thailand. It is the easternmost island to Cambodia. After deciding this would be the first destination of our honeymoon, we started to look for accommodation. 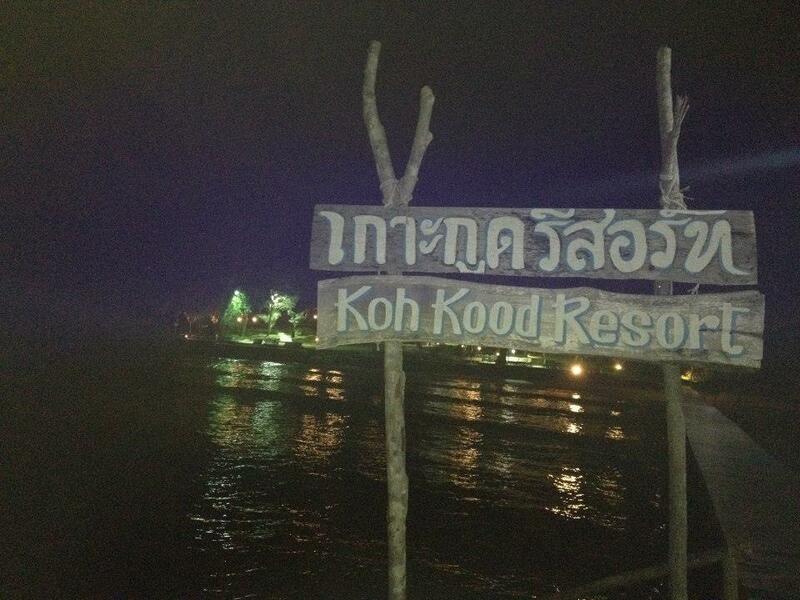 It was not long before we discovered Koh Kood Resort. 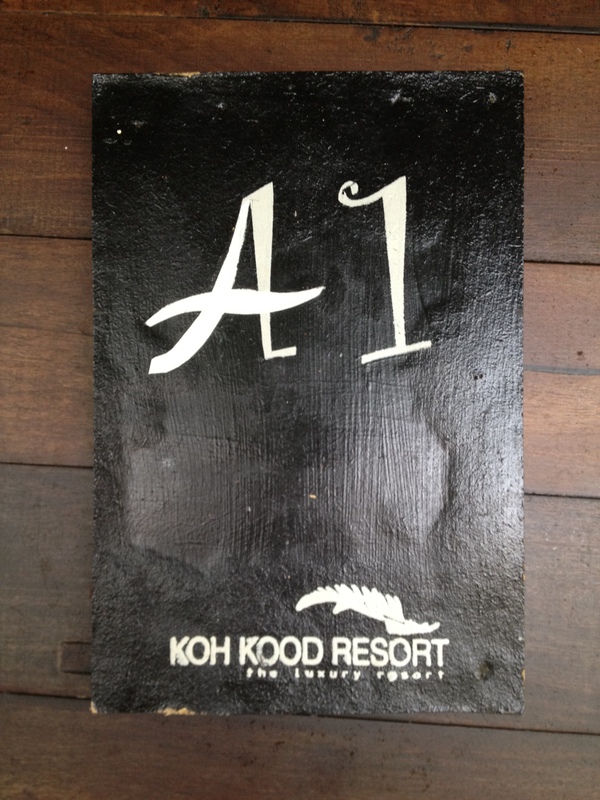 Koh Kood Resort offers accommodation both separately and as part of a package offer. We decided that it would be more cost effective for us to choose a package, and booked the 5 day 4 night ‘romantic getaway package’. 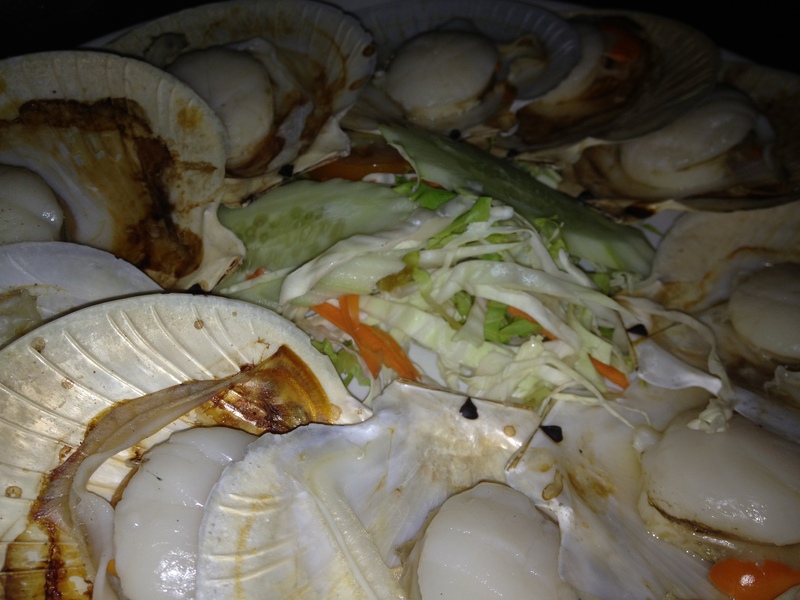 * Pick up from one of many locations on Koh Chang island or in Trat city. 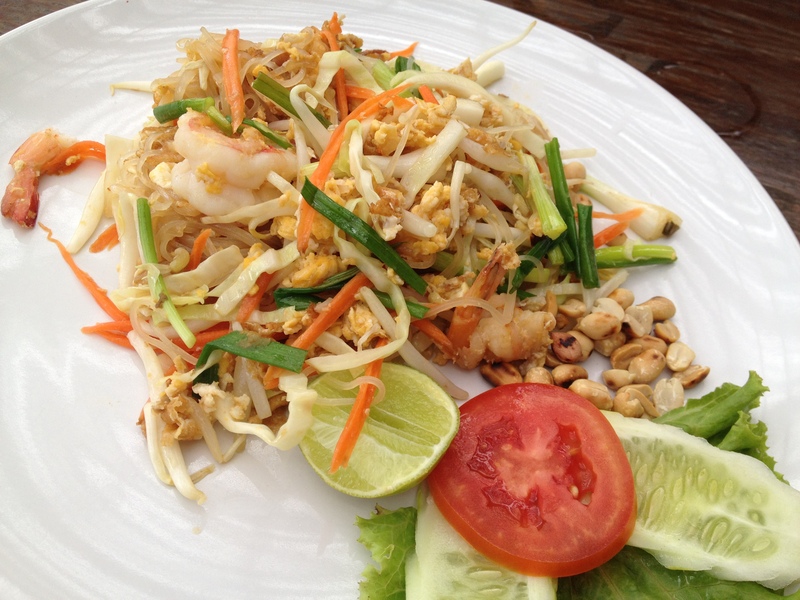 *All Meals, consisting of a set dinner with extremely fresh Sea Food, lunch with a variety of Thai foods, including rice and soup dishes and an American or Thai Breakfast in the morning. Due to the timings of our flights and the ferries, we stayed a night in Trat before setting off for the first boat of the day. We were collected by a free pick up truck first thing in the morning, and taken to Laem Sok pier, where the boat was due to leave at 9am. 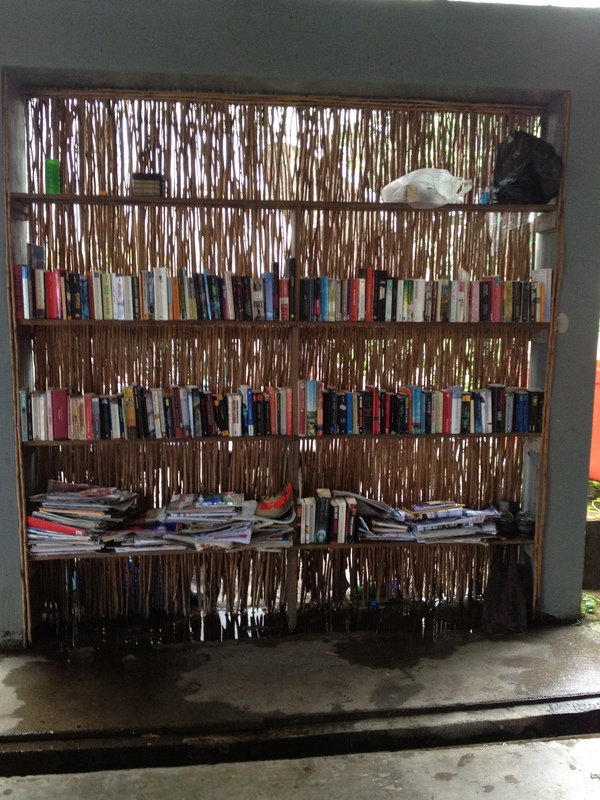 As per usual in Thailand, the boat was delayed, but we kept ourselves occupied, and there was a small shop where we were able to get a bad cup of coffee. 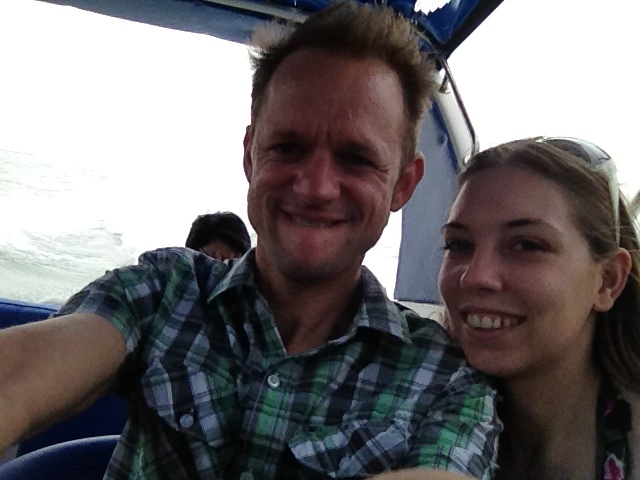 The ferry to Koh Kood – it was a bit bumpy! The speedboat was a pleasant journey (resembling the journey I had expected from Laos) although fairly bumpy and loud, and we arrived at the hotel mid-morning. Sadly it was a bit drizzily when we arrived, and our room was not ready, however the owner got us a drink and all checked in, and fed us, whilst the room was being prepared. 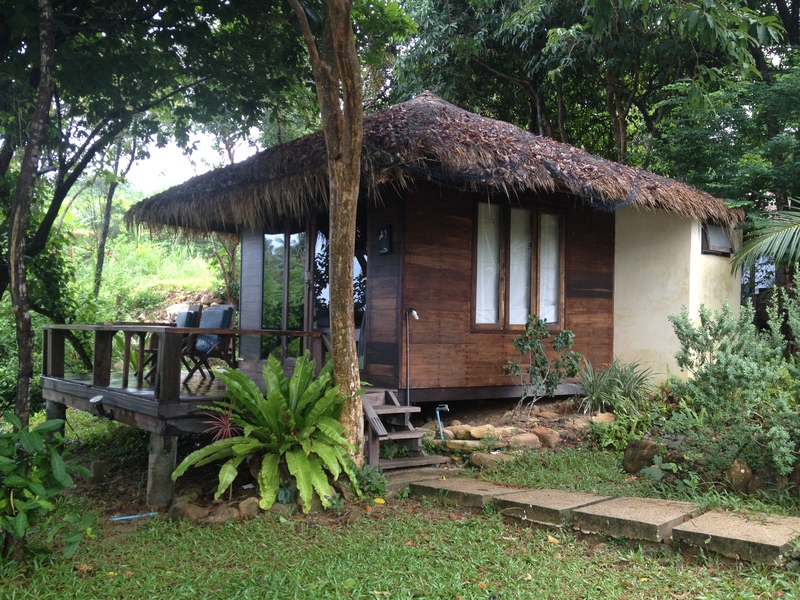 We had upgraded to a beachfront bungalow (A1) which was well worth the extra few bhat which we paid. 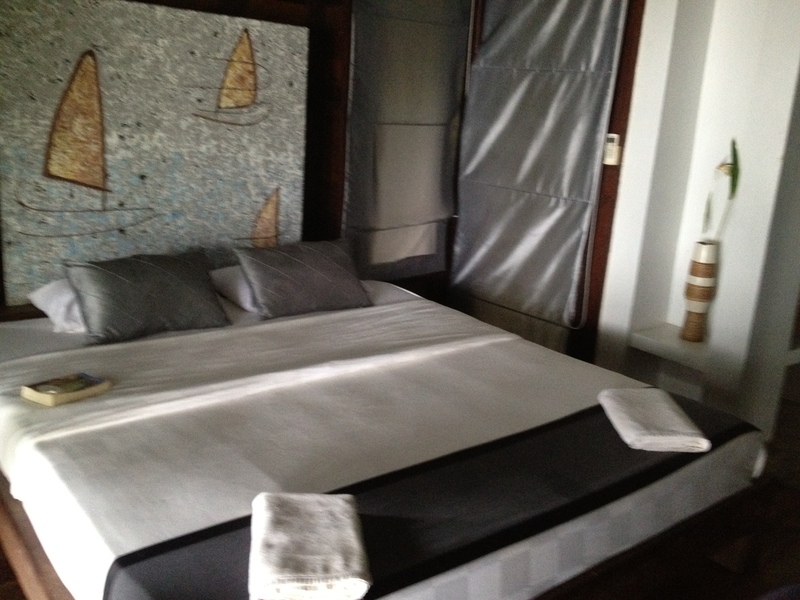 The bungalow was clean and comfortable, although the main room a little small. 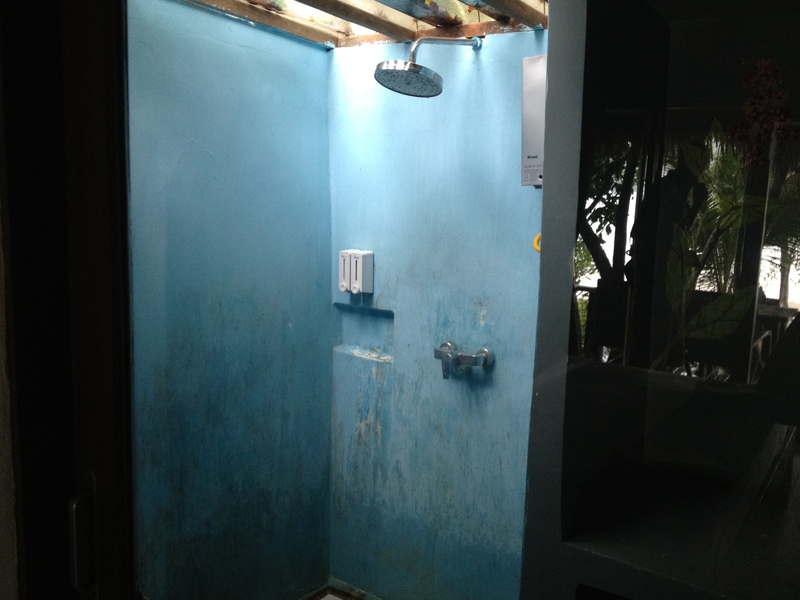 However, with its own decked balcony area and large but sadly covered open air shower, we had plenty of room from somewhere we were primarily using to sleep in. The room also came with a safe. 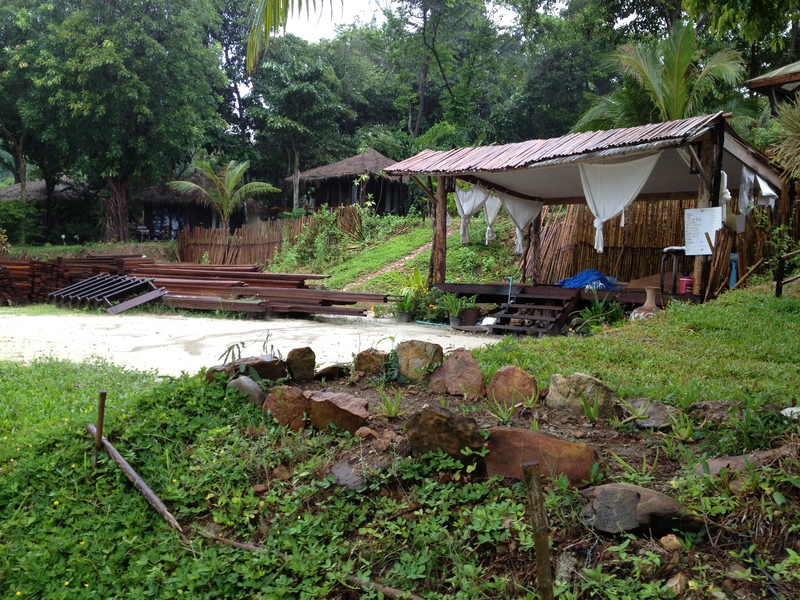 The resort itself was very quiet, probably 30 bungalows, with a few more being built (not obtrusive at all). There was one restaurant, and a beach bar which wasn’t open whilst we were there (there were far too few guest to warrant it). Food was of fantastic quality, and all included as were soft drinks (the fruit shakes, particularly the watermelon shakes were to die for). 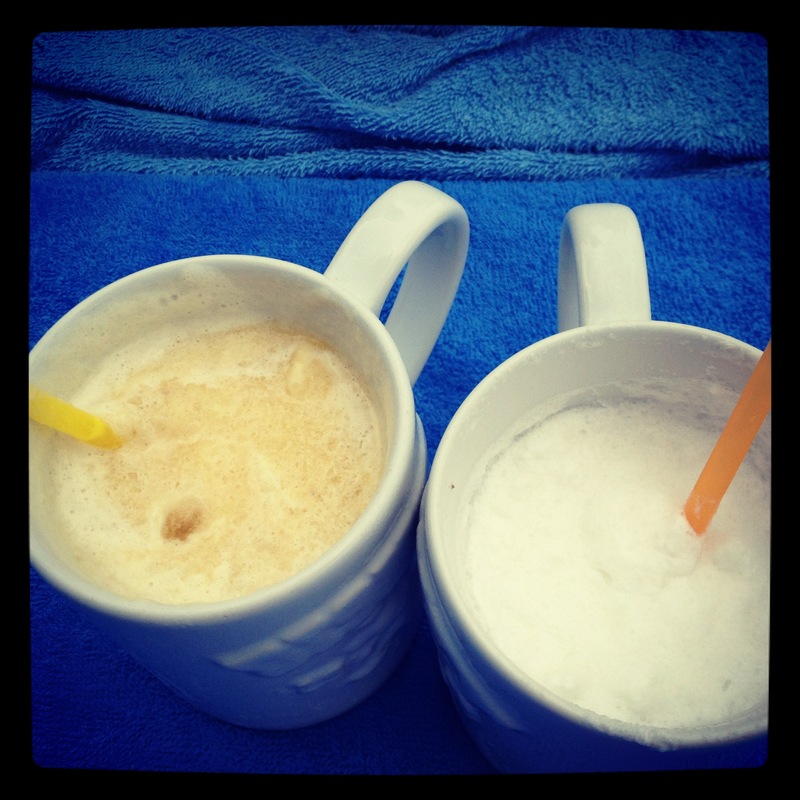 We paid extra for beer, but they were very reasonably priced. The ‘extremely fresh seafood’ was delicious – and the owner was happy to order in crab (my favourite) which he charged at market value – it was certainly very good value. 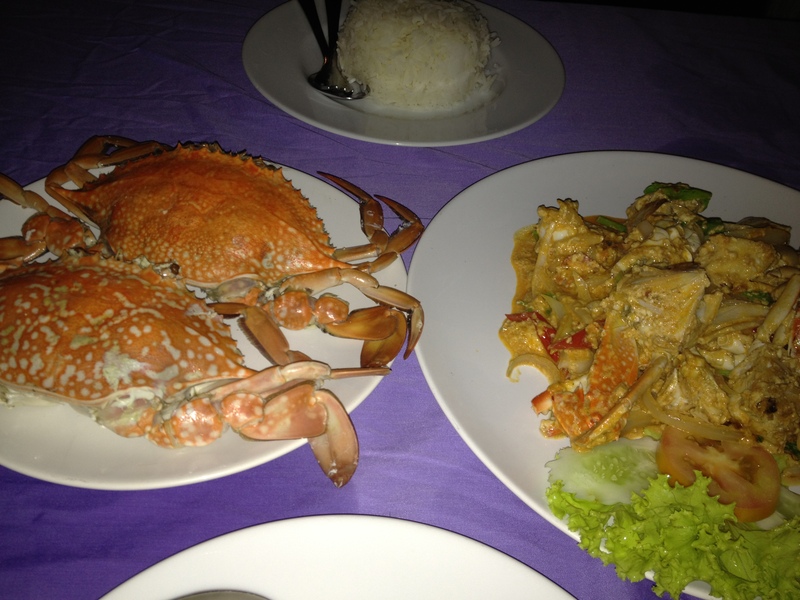 I was so excited for the crab – it made a delicious curry! As mentioned above, occupancy was very low, and for our stay (which we ended up extending to 8 nights) we were the only caucasian guests. A few thais stayed during the week, and only one night was the hotel ‘busy’ when a group of about 15 descended for an overnight stay. Staff at the resort were incredibly friendly – most of the waiting staff were Cambodian, and we spent a lot of time talking to them, especially in the evening, as they tried to improve their English. Some people may find this slightly annoying, although we didn’t, but I am sure that if we had asked them to, they would have gone away. The resort has its own private shore line – it isn’t really much of a beach, and grass grows up through the sand, but there are plenty of sun loungers dotted along the waters edge, and on the decking that has been built. 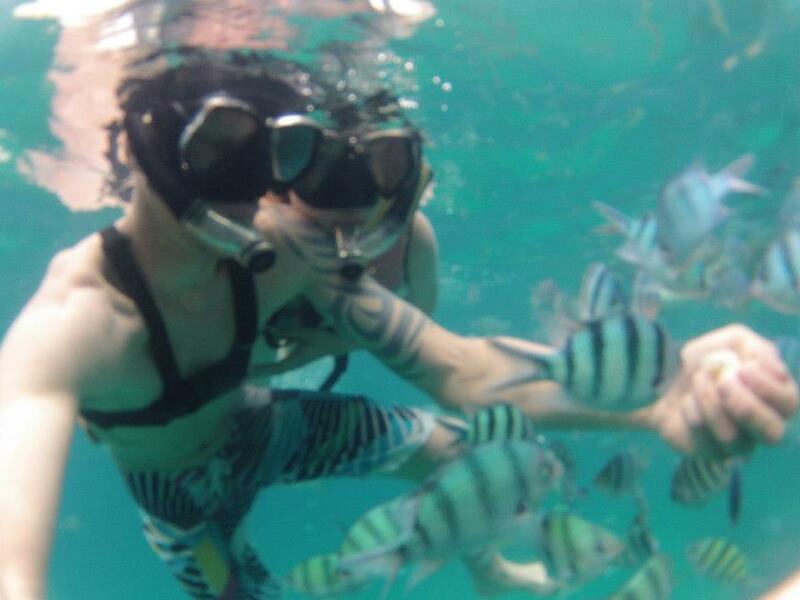 The water is quite clear, perfect for spending an afternoon floating around the shallow waters. 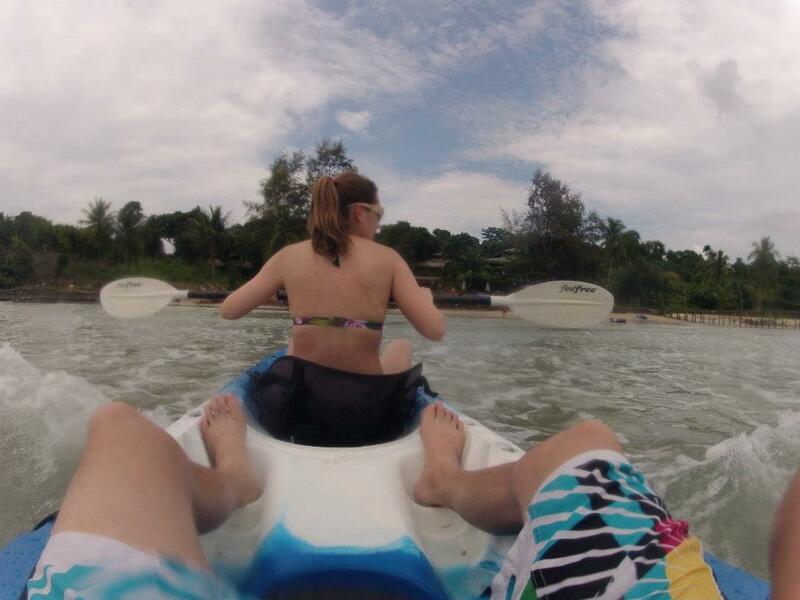 We took a kayak out to explore the waters further out and its hire was free of charge. Although we spent most of our time lazing around the resort, reading book after book, (there was a huge library of books to borrow, which I made great use of) we did make use of all the aspects of the package, having a heavenly thai massage, (and then booking in for more) visiting the waterfalls, and completing the night time river cruise (yes, we did see the bioluminescent plankton) we also went for a wander out of the resort, through rubber plantations and through the forest, which I recommend doing. All trips of the package could be taken on any days, which gave us a bit of flexibility. 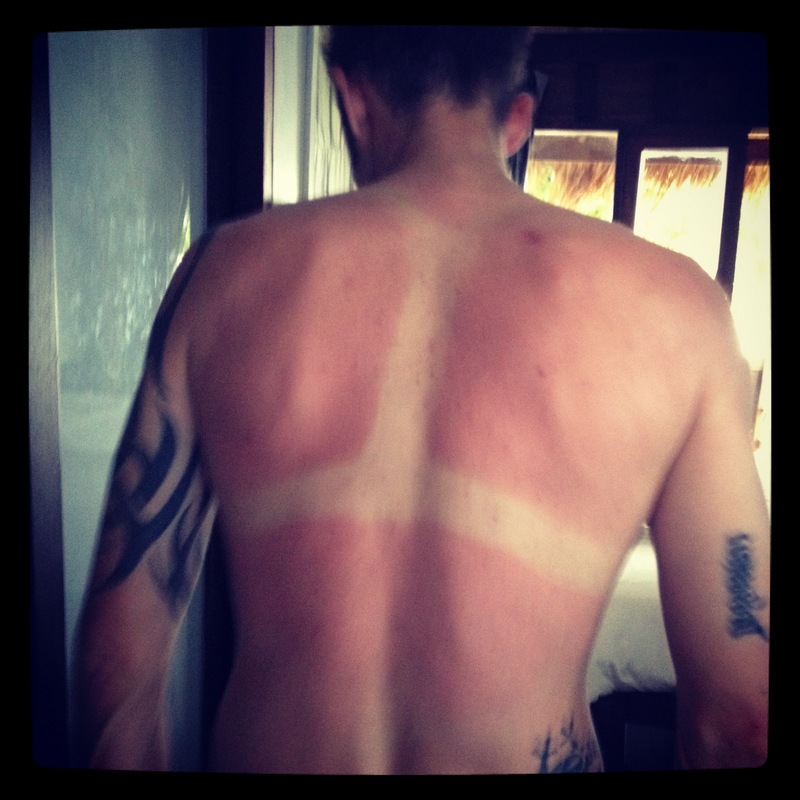 Who needs sunscreen on the first day, anyway? 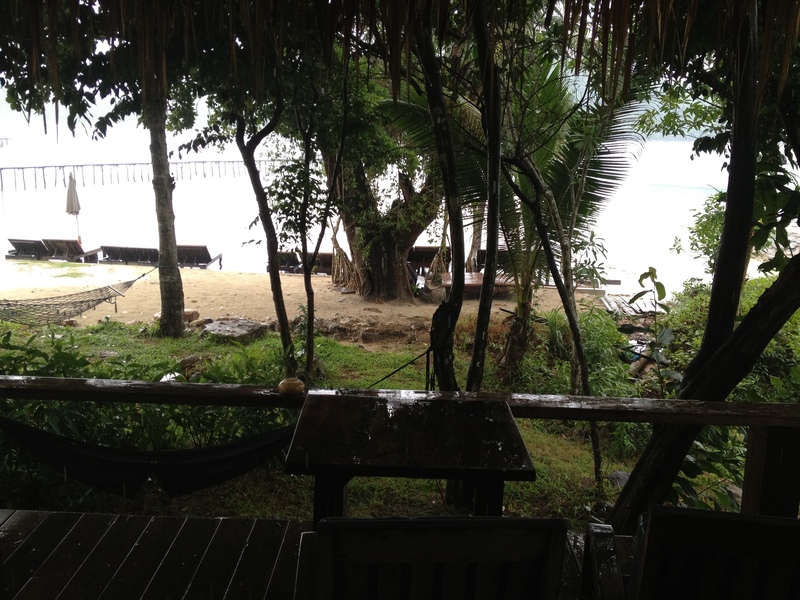 As we visited Koh Kood in May, weather was not its best, and we did get rained on a few times, yet it was still warm, so we spent a few days sunbathing in the rain – it didn’t really matter. 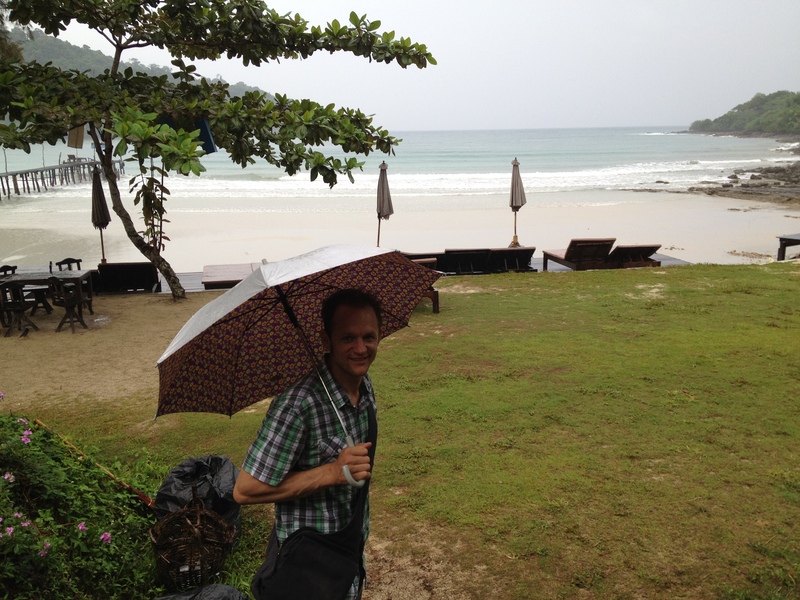 Umbrellas were provided by the resort, and we often found a brolly outside our door in the morning or just prior to dinner so we didn’t get wet on the way over – a very nice touch. I would absolutely love to return to this resort, we had such a fantastic stay, with comfortable room, beautiful views, fantastic food and the best fruit shakes I have ever drunk (which I now try to replicate at home in the summer when watermelons are available for sale). Staff are some of the most friendly we have ever had the pleasure to meet. A1 bungalow in Koh Kood Resort is one of the best bungalows I have ever slept in, and the best overall resort we have ever stayed! If you are visiting the area, this resort should be the top of your list. Certainly worthy of an A1 status!